LED light therapy was originally developed to fast track wound healing and to help treat and prevent post-surgical scars. It was quickly noted that rejuvenation of the surrounding skin was a bonus side effect and now LED light therapy facial treatments are making waves in the beauty industry for their ability to help your skin age gracefully by repairing skin damage and superficial wrinkles, treating acne, improving circulation and promoting skin rejuvenation. Light therapy is right at the cutting edge of medicine, health and beauty. There is currently an explosion of research into the negative and positive benefits of light. The blue light from our laptops, phones and mobile devices is bad, sunlight burns and accelerates skin aging but it also plays an important role in keeping your immune system and microbes in your body happy and healthy. Light can be used to treat depression and other mood disorders, pain relief, sleep problems and accelerate wound healing, promote healthier skin and prevent accelerated skin aging. Researchers are currently investigating the use of light to stimulate nerve regeneration and even help the brain recover faster after a stroke. Light is exciting stuff! Have you discovered the power of light using LED light therapy facials to rejuvenate skin and treat acne? 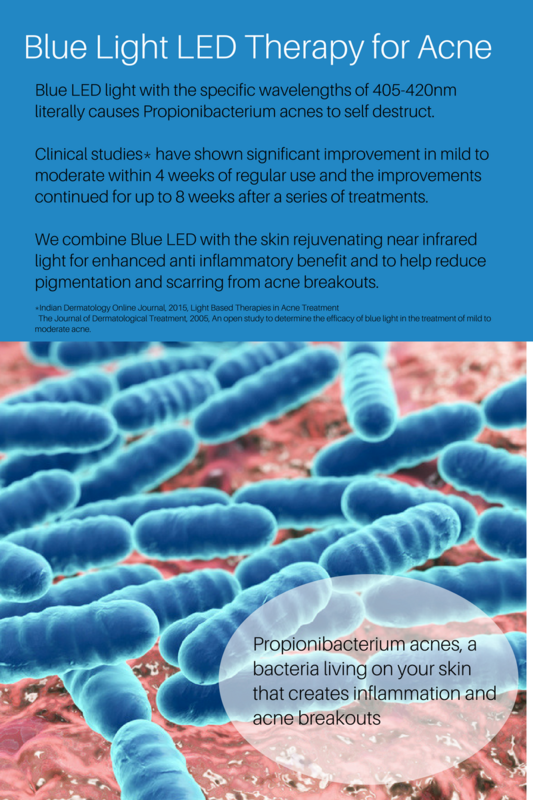 Blue LED light helps to kill bacteria that cause inflammation and acne. Studies have shown that it is effective in the treatment of mild to moderate acne and best results are seen with a series of treatments, especially when combined with either red light or near infrared LED (invisible red light). A quick search on the benefits of LED skin therapy will bring up pages and pages on the benefits of red light LED. And they are pretty impressive. Red LED light increases the ATP in your dermal cells. ATP is your cellular currency, it’s the energy that every cell in your body spends every day to function effectively. Skin cells that are low in ATP age prematurely, are more prone to inflammation, heal slowly and are sluggish in their production of collagen and elastin which are essential for providing your skin with continued firmness and elasticity. Red light LED charges your skin cells up with energy so that they function more efficiently, like they did when they were younger. Accelerated skin recovery and tissue repair. Treatment of acne when combined with blue LED light. Sounds pretty impressive right? Well, there’s a new kid on the block when it comes to LED therapy for your skin and it’s even more impressive than red light LED. Near infrared light, also known as invisible red light penetrates deeper into your skin’s dermis than red light. Red LED has a light wavelength of 620nm, near infrared is 830nm. By delivery energy deeper into your skins dermis, near infrared light also stimulates circulation which improves blood and oxygen enhancing your skin’s metabolism. The treatment of sun damage and pigmentation. Speeding skin recovery after laser, chemical peels or a holiday with way too much sun. Restoring tone to skin and reducing the appearance of fine lines and wrinkles, and tightening loose skin. Near infrared light is also an effective treatment for pain, inflammation and injury in joints and muscles. It doesn’t just mask the pain but actually helps to treat the inflammation and injury causing the pain. Why can’t I just stick coloured cellophane over a torch and shine it on my skin? How can different coloured light possibly reduce inflammation, increase collagen production, reduce scarring and pigmentation, improve skin tone and help with skin conditions such as acne? And why can’t you just put cellophane over a torch and shine it on your skin? Good question! If you’re just after the short answer – it’s no. Well you can, but it’s going to provide zero benefits to your skin and if you read on we’ll explain why. Light is actually an electromagnetic radiation wave that is capable of transporting energy from one location to another (remember this bit, it’s going to be important later on). Visible light makes up a tiny part of the electromagnetic spectrum which also includes X-rays, gamma rays, radio waves, UV rays and microwaves, each one with a different and unique wave length. Gamma rays are smaller than an atom whereas a radio wave can be up to 100kms long. Visible light is somewhere in the middle. So it’s the length of light waves that are important, not so much the colour. Colour is just how your eyes interpret light waves. For LED light therapy to be truly effective, it must use very specific wave lengths. This is important as specific wave lengths can have very different effects upon your skin as the light penetrates to different parts of your skins epidermis and dermis and interacts with skin cells. 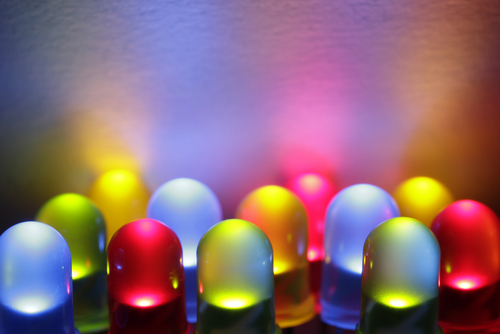 Yes, LED light treatment for skin is extremely safe. There is no downtime after LED light treatment, whereas laser treatment commonly leaves your skin extra sensitive and reactive for a period of time after treatment. There is no risk of accidental tissue damage or burns occurring during your LED light therapy treatment. It’s also quick with each session only taking 15-20 minutes making them ideal as an add on to your next facial or eyebrow shape. Because there is no down time and LED light therapy works to rejuvenate and improve the texture, tone and appearance of your skin it’s ideal to do a series of treatments in the lead up to a special such as wedding so you can be assured of smooth glowing skin without risk of breakouts on the day. You don’t have to be suffering from problem skin to benefit from LED therapy. By boosting your skin’s energy production and helping it function more like younger skin, LED therapy helps to prevent the signs of premature skin aging. In a country like Australia with our harsh climate and even harsher sun, prematurely aged is a very real problem. LED therapy works by recharging the fuel tanks of the cells that form the dermis of your skin. Your skin becomes more efficient at detoxifying, healing & repairing as well as collagen production. Near Infrared light penetrates the deepest to recharge and rejuvenate your skin. It’s one of the best general anti-inflammatory, energising and restorative treatments and for maximum benefits should be done regularly, 10 treatments once or twice a year is recommended to maintain healthy skin and minimise the effects of accelerated aging. The effects are cumulative and continue to benefit your skin for months afterwards. 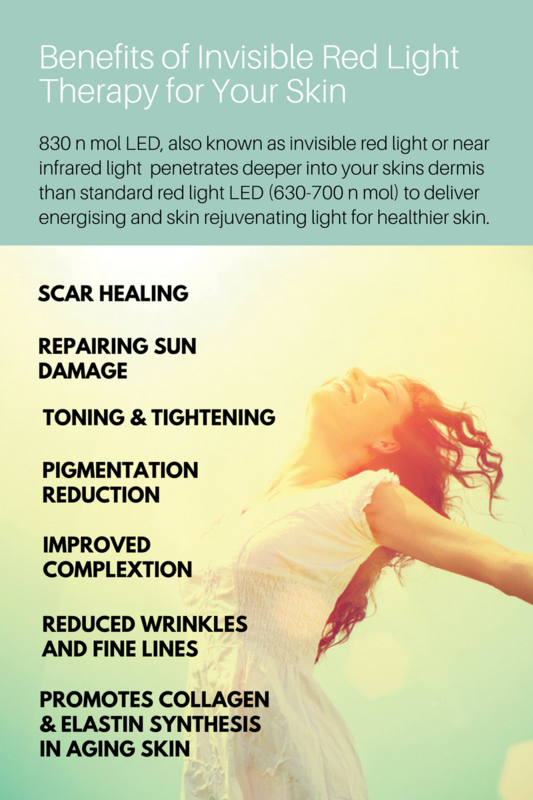 Yes you read that correctly, the benefits of LED light therapy don’t end when the lights are switched off. 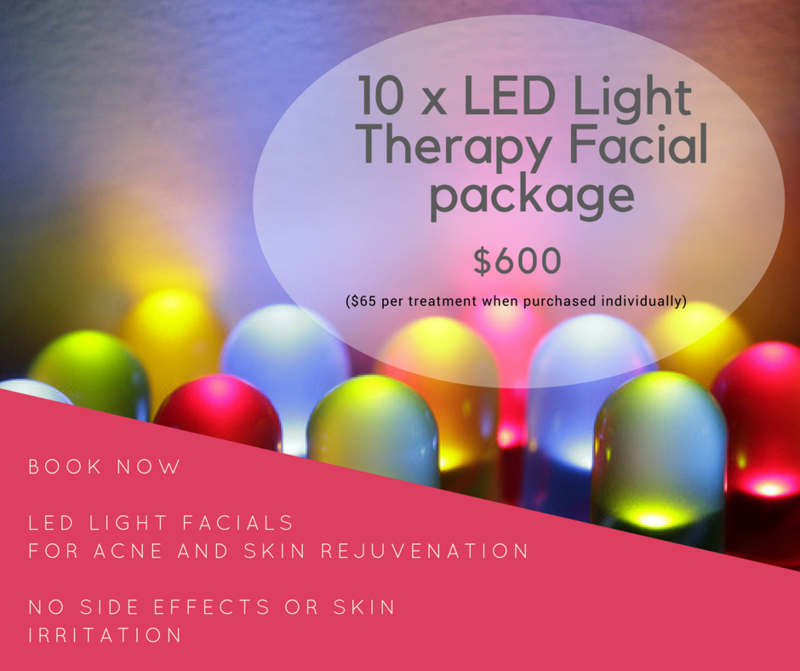 Whether you’re treating your skin to a light therapy facial to help deal with stubborn acne or as part of a program to reverse sun damage, the beneficial effects continue for weeks and months after a series of treatments. LED treatments work by delivering energy to your skin cells, the more housework your skin needs to do in order to become it’s healthiest, the more energy it’s going to need to be delivered. Light therapy is extremely holistic and works with your skin. Treatments are enhanced by using good quality and naturally antioxidant rich skin care. At Sage Beauty we use the Therapeutic Goods Administration approved Healite II phototherapy system which delivers pure light in precise wavelengths for the treatment of acne, promoting skin rejuvenation, improving skin appearance and relieving pain. Contact us today and discover how targeted light therapy can help you achieve beautiful, healthy and ageless skin. Harnessing the healing power of light is true holistic skincare that works to support your skin to look and feel it’s very best. 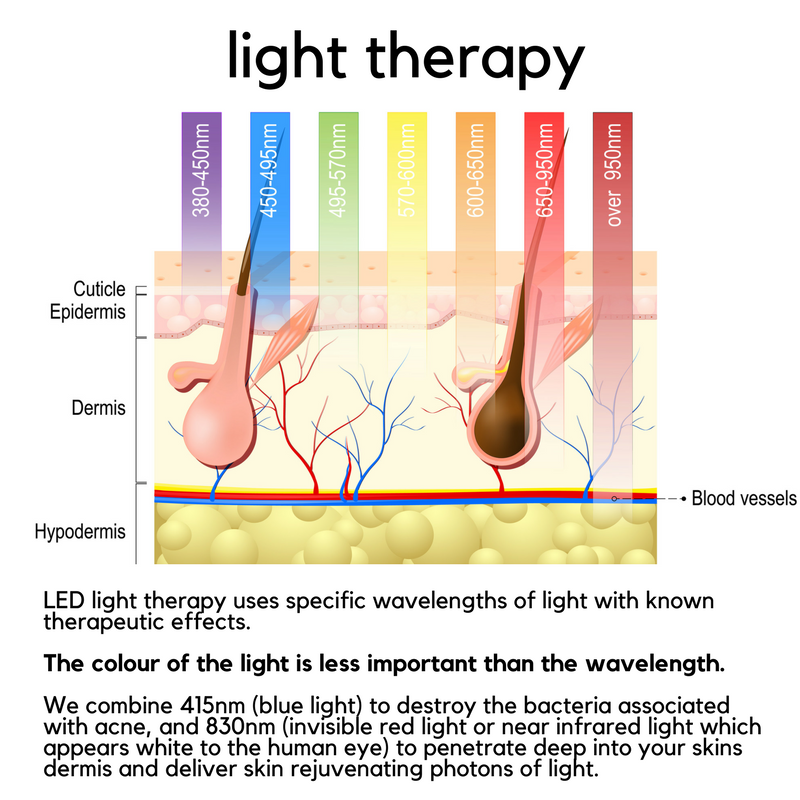 Call 02 9130 7064 or email us to book your LED light therapy treatment.